Euna Mae's : Big news! I'm hosting a cooking show! Big news! I'm hosting a cooking show! Today's the day! I've been sitting on a fun, scary secret for months! And today I get to spill the beans! 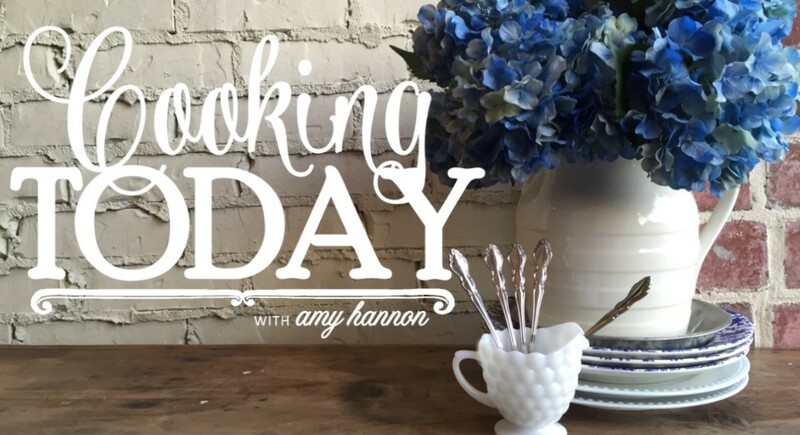 Starting Monday, January 4, I'll be hosting Cooking Today, a daily cooking show on KNWA, Northwest Arkansas' NBC affiliate! I really can't even believe I just said that. Oh my word! I've never been more excited and more scared of something in my whole life. That's God's honest truth. There's a lot to say about how this all came to be! And there will be more on that later! But the quick-of-it is that the show will air Monday-Friday at 12:30pm on KNWA in Northwest Arkansas and the River Valley. We are filming in my own kitchen using all of my favorite cookware and serveware from Euna Mae's! And I'm just cooking how I know. It's not super fancy, just good comfort food that feeds everyone from a family to a football team! If you've followed along with me on instagram and on this blog, you know what to expect! Good food. Some from-scratch. Some with shortcuts. And sweets. There will be sweets. What's even more exciting for my mama and the rest of you who don't live in the viewing area - the episodes will be available on YouTube! How about that? 1. I have seen parts of the first episode; and my "sincere" face may or may not look just like my "very concerned" face. I assure you that it's sincerity from a girl who hasn't been on TV before and who is learning quickly to lift her eyebrows on camera. 2. We will film more than 100 episodes in 2016 which means I'm gonna run out of clothes, y'all. 3. There is a wonderful, talented, warm crew that you don't see on the other side of the kitchen island from me. They are new to my world, but they have quickly become friends. We make each other laugh. They endure my craziness. And they love my sweet tea. For them, I am thankful. For KNWA managers and producers to observe Euna Mae's from afar and decide that they want me for their show means the world. I'm surprised, humbled, excited, skeerd, and thrilled. I can't wait to spend my days with y'all in the kitchen! And just like Euna Mae's, my hope for Cooking Today is that it inspires hospitality and home in your hearts! Good gosh a'mighty! I'm hosting a cooking show! Whoohoo!